If you have not heard of Michele McLaughlin yet you must be living under a rock. You get a one-time excuse if you are not a fan of new age instrumental music. Undercurrent is her 15th proper recording. That is an amazing body of work in a fairly short period of time. And she did it all in approximately 15 years. This is instrumental music that moves you. Emotion and a sense of spirituality breaks through as if it were delivered on the wings of an angel. 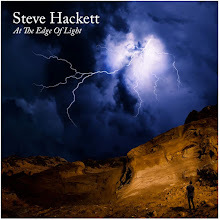 If you say the title Undercurrent out loud or to yourself you understand what it all means once you are immersed in this gorgeous piano music. Underneath every note in every track is a feeling, emotion, pain, joy, despair – quintessentially the undercurrents that run our life and motivate us to make decisions, live and love. The title says all of that when you make yourself an open book…the pages will turn and you will understand. One of the more meaningful songs for the artist is “The Space Between.” It is about Michele moving 10 miles away from her sister after living right next door. That family bond and the special relationship one can have with a sibling is explored. 10 miles may not seem like a long way but when you are close to a family member it can feel like an ocean separates you. I understand the emotional pain involved and could feel how real that sadness was in Michele’s piano playing. The fact that the music is so beautiful does allow some consolation for the listener and hopefully a purging and healing process for the creator. “Starstuff” is elegant and universal. Star dust we are indeed. I enjoyed the melody in this track, it is purposeful like letting go and allowing your spirit to soar and explore the universe. It is a perfect example of how music without words can hold so many meanings for each listener. Let it take you away, breath deep and transcend all that may be holding you back. I felt inspired and a few chills came over me while listening. Speaking of inspiration, “Never Give Up” personifies that message. Michele receives emails from folks that may be going through a tough period and they say that her music heals and helps them to carry on and recover. I can say with complete certainty that is a fact. I felt renewed and hopeful after listening to this music; it brought me to another place. For this listener that is the primary purpose of music and if that is accomplished then it was a success. 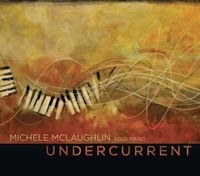 Undercurrent is a standalone work of art that can be especially appreciated by anyone that understands the effort that goes into the creative process, whether it be a piece of music, a painting, or music that paints its own scenery like this fine album so gracefully does consistently throughout. It is a perfect group of songs with just the piano and Michele McLaughlin and I could not imagine hearing it any other way.